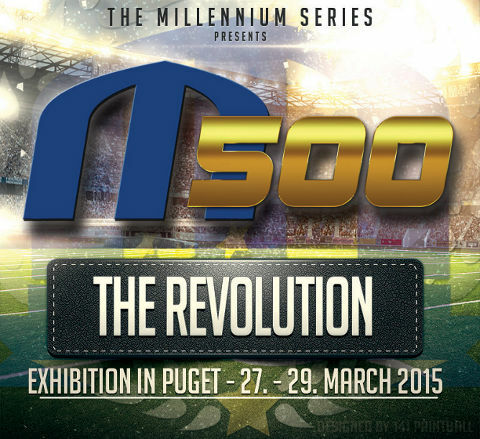 Our solution will be exhibited on the CPL field in Puget as a tournament between four of the World's top teams. The rest of the event will remain on the traditional format until 2016. Why change? What's wrong with Tournament Paintball? The game has evolved to a point where the need to fire vast amounts of paint is becoming the norm. This is leading to a lower reward for skilful play, increasing team budgets at a time where recovery from the financial crisis is slow & an experience which is often becoming a negative to attract new players. Many parts of the current format are very good with the Millennium's original Race 2 concept being adopted world-wide. One of the reasons that Race2 was a success is the ability to easily adapt the format to players with different skill levels & budgets by simply changing the number of points played. We see no point or reason in changing this successful format, which has also made this an exciting sport to watch as a spectator, which has not been the case for many years. Each player can access the field for each point with 1 loader (220 paint loaders) and 2 140 round paintballs pods. Before starting each point at the start base, players can switch pods between teammates. The game is then played using the normal Race2 format.